Have you ever wondered what was on the other side of the portals that Treasure Goblins escape into? In the upcoming Diablo III PC Patch 2.1 you will be able to find out, with a brand new area called The Vault! 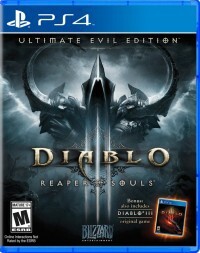 Players will finally get a chance to learn more about the devious goblins, and their insatiable leader. Read on for a new preview of The Vault, to see how the place came to life! Amidst the chaos of battle, ragged opportunists sneer and scuttle to collect the loot of the fallen. Hunched over by the weight of their purloined wealth, these mischievous scavengers represent a more recent addition to Sanctuary's bestiary, with sightings increasing (perhaps unsurprisingly) shortly after the Fallen Star appeared. While not much is known about these so-called "treasure goblins," one thing is certain: they're not native. As quickly as they enter our world, they depart—disappearing into mysterious portals and escaping with their misbegotten goods. But from where do these enigmatic visitors hail? And to where do their strange doorways lead? No mortal has ventured into nor even seen beyond their gilded veils to provide such answers. . . . Ever since the recent demonic invasion, tales of Treasure Goblins scurrying about Kehjistan's battlefields have riddled Sanctuary’s taverns. At first believed to be frenzied grave robbers, the goblins' true nature became known only once they were witnessed in broad daylight. 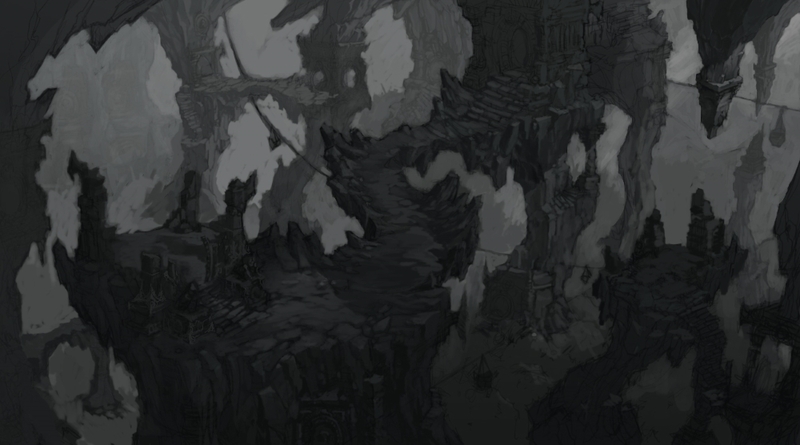 Now, their grayish bodies and lizard-like heads are recognizable to all but the most cloistered of citizens, and prove a welcome sight to powerful nephalem in search of easy loot. Treasure Goblins are a guarded species, however. If observed during one of their hunts, they will attempt to retreat through arcane portals—formed from magic not unlike that the Horadrim once employed to summon Town Portals and waypoints. 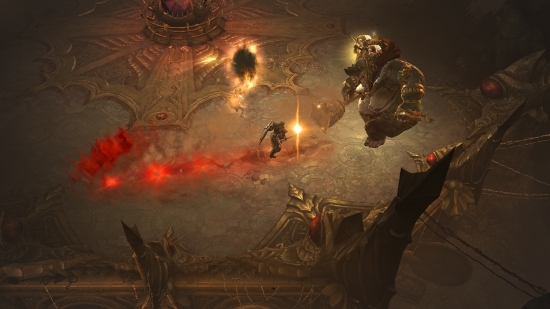 As their presence has become more common, so have rumors of their gold-filled "vault." 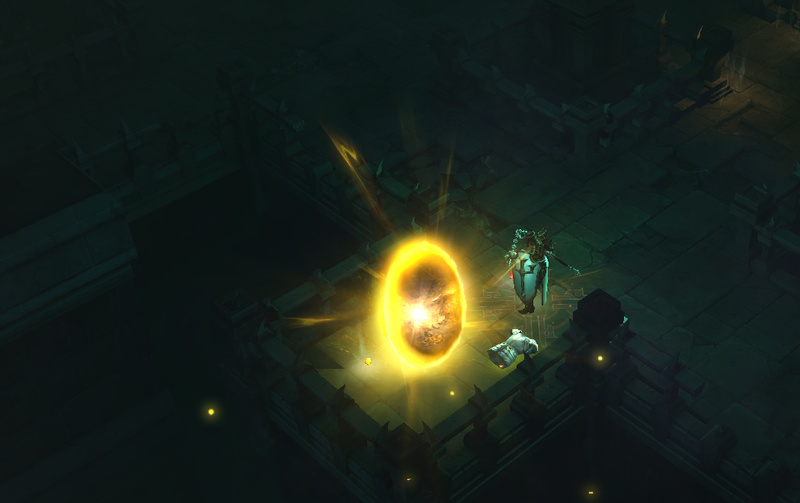 It is said that beyond a goblin's portal untold riches await, as well as untold horrors. But what is fact and what is simply fable? It's time to find out. 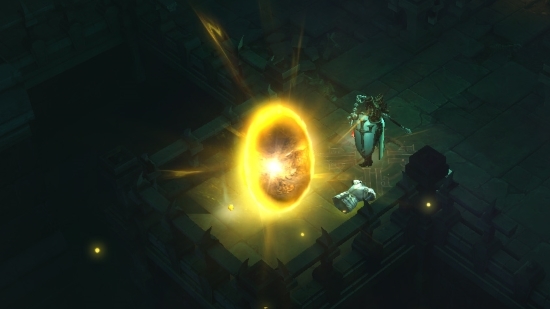 In patch 2.1.0, whenever a Treasure Goblin is slain, there is chance that he (or she) will open a portal to the Vault. In the Vault, players will encounter unimaginable wealth, presumably stolen from the merchants and townfolk of Sanctuary. Piles of gold, chests brimming with treasure, and enough gems to sate even Shen himself will reward your curiosity. Be warned! 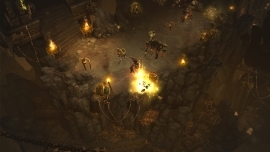 The Vault is also the domain of the Baroness Greed, the de facto leader (or so we assume) of the Treasure Goblin horde. She is a swarthy matron consumed by her namesake and will not take kindly to your intrusion. End her reign and claim your spoils (if you dare)! 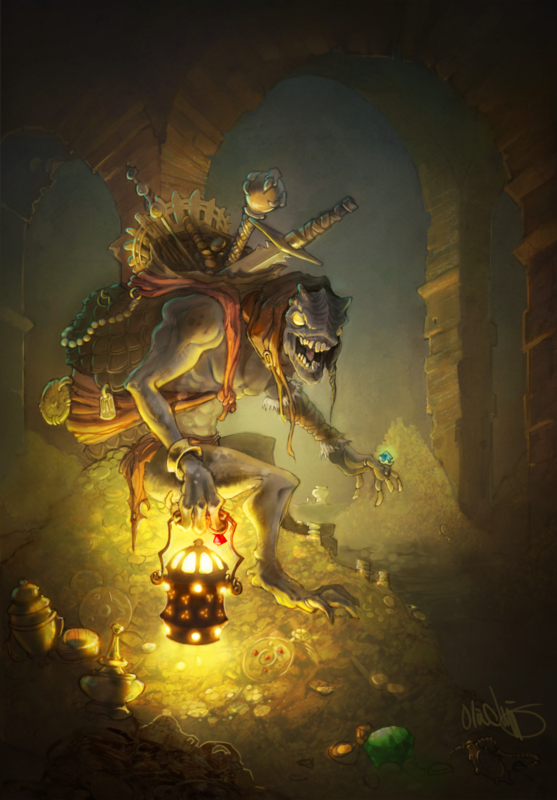 Treasure Goblins are among the most beloved of all of Sanctuary's creatures, and their ability to escape (often with precious trinkets in tow) has drawn the focus of many adventurers. As a result, the idea that a player could actually catch one of said goblins off-guard and suspend the doorway into their world offered a tantalizing possibility for the Diablo III development team. We had a chance to sit down with lead writer Brian Kindregan, senior level designer Matthew Berger, and a cadre of talented artists (senior character artist Chris Amaral, senior environment artist Richie Marella, and technical artist Neal Wojahn) to discuss the creation of, and inspiration behind, the Vault and its sumptuous leader. They kindly put down the weapons of their trade to help us pull back the design portal and see inside the development process. Q. Brian, there's a lot of activity happening in the Vault—what's going on in there? Brian: The Baroness Greed is never satisfied, so there's a lot of work to be done to keep the Vault up to snuff. Her goblin minions are continuously sent out to collect more gold. The incoming gold in turn has to be tallied. And the existing gold must be inventoried to make sure none of it has gone missing. Plus, Greed takes a bath in all her gold every three hours. She's definitely high-maintenance, as is her domain. Q. 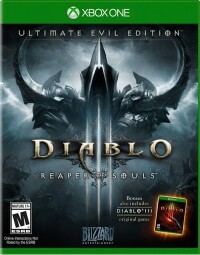 It's been speculated that gold has no value for the goblins and that all they’re really after are the white items. Care to comment? Brian: Greed is obsessed with all things valuable. It's a compulsion and the only cure is, apparently, more cowbell increasing amounts of physical wealth. Q. 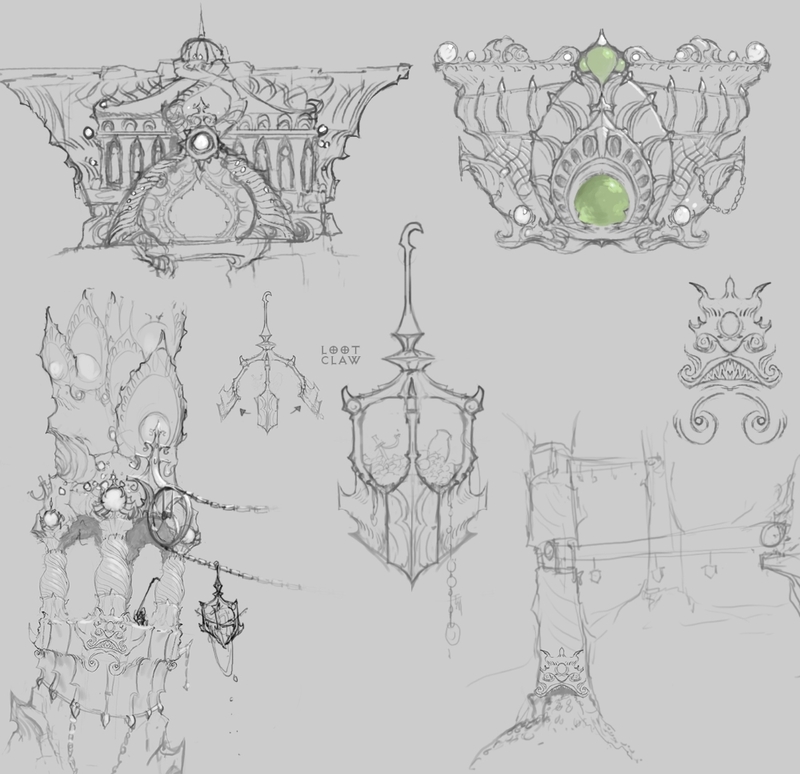 When designing the Vault, where did you begin? And how did you begin? Richie: We started on the Vault environment first and worked closely with the character team. 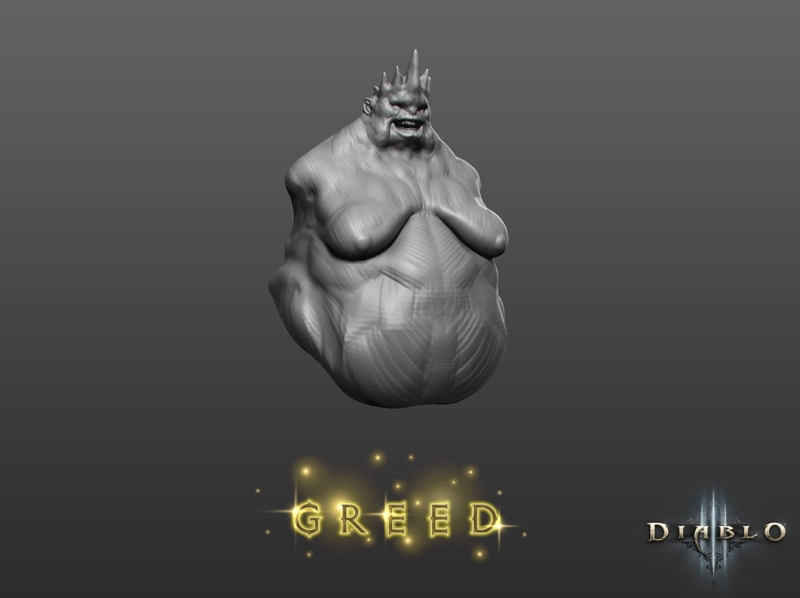 We actually borrowed coin designs from them and they used a goblin statue for a mace inspiration. 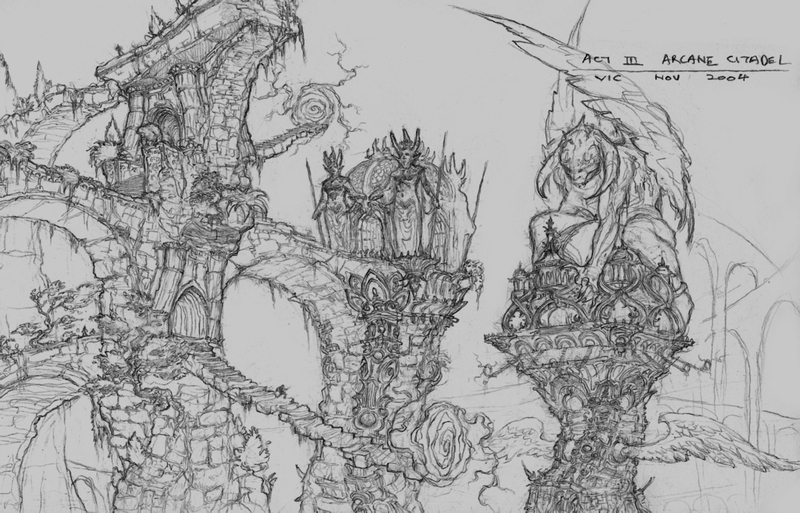 Neal: Victor Lee did some really sick concepts a while ago, too; I’m not sure if they were for anything in particular but we always loved them so much that they inspired a lot of the architecture in the Vault itself. And as Richie noted, those coin effects inspired us a lot. As we iterated, the Vault developed its own identity, and it drifted a bit away from that initial style. Instead of the Vault being a gold realm, we thought of it like a treasure realm. That's when we added a lot of things in the background for interest like gems, weapons, vases, and other valuables. Q. 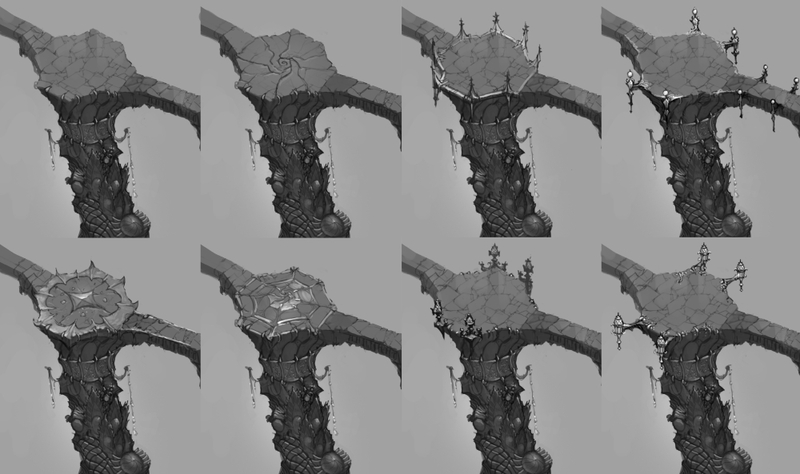 What was the design inspiration for the Vault and its inhabitants? Richie: The inspiration for the Vault was a mixture of a couple of things: a bee hive, the Lord of the Rings, and Scrooge McDuck's infamous Money Pit. 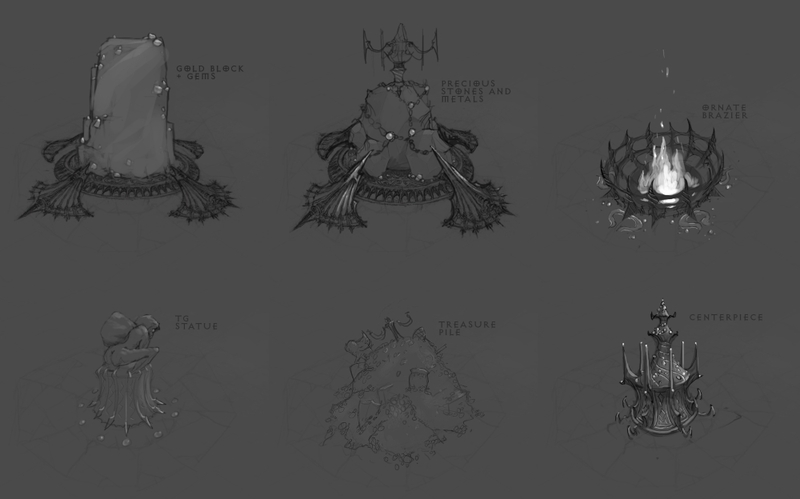 One thing early on we really wanted to go for was "mountains of treasure" that covered a lot of the Vault grounds. 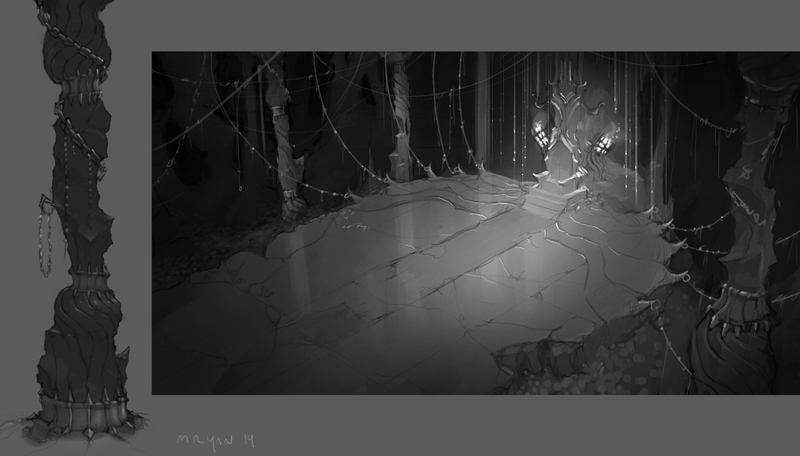 We also wanted to create this atmosphere of "worker" goblins, busy working away much like worker bees in a bee hive. I also played around with the hive motif with multiple storage holes built into the walls—these eventually evolved into mini-vaults. 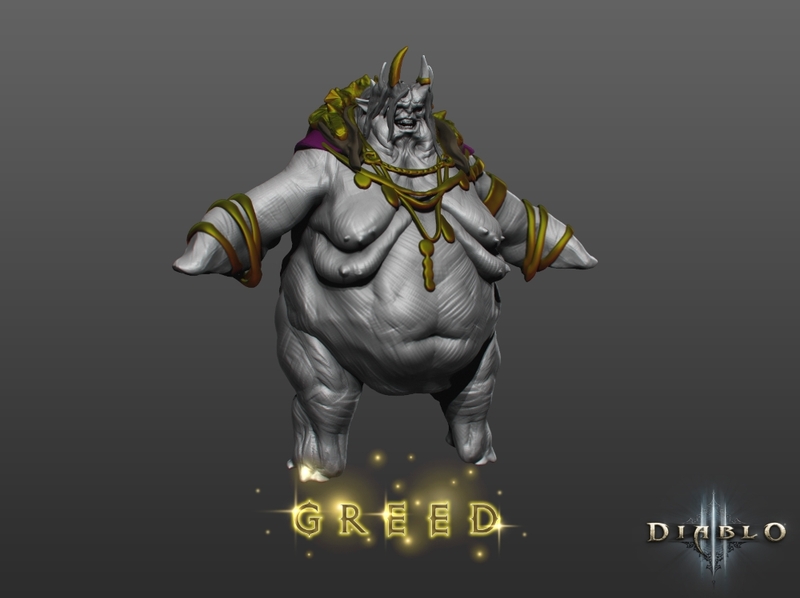 Initially, most people assumed that Greed would be a male. 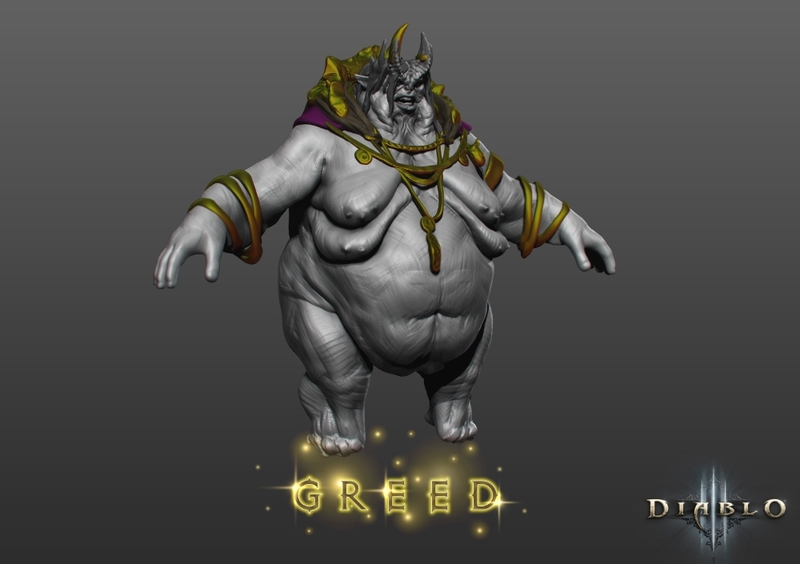 When working with the character team on Greed, though, they proposed for it to be a female. This turned out to be a great idea because it fell in line with what we were going for with the bee hive motif and having the so-called queen (aka the Baroness) at the end fit perfectly. 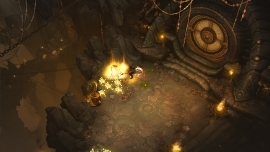 Chris: We knew that we needed a variety of goblin types for the zone, too. A low level/low health worker goblin, a hefty brutish guard goblin, and of course the leader of the pack: The Baroness! Q. 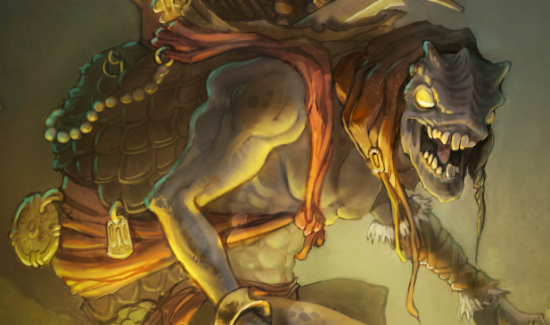 We're definitely introduced to some new goblins in the Vault: Treasure Fiends, Peons, and Sentries. Is there an established caste system in the Goblin Kingdom? Brian: There is indeed. The entire bureaucracy and society of the realm is set up to bring in, tabulate, and store as much gold and treasure as possible. Q. Matthew, your team obviously had a lot of fun creating the enigmatic Treasure Goblins. How great was it to finally visit their home? Matthew: We'd always wondered exactly what was hiding behind the portals that those pesky goblins disappear through and the idea of being able to visit that place—which we assumed would be awash with riches—was pretty fun. 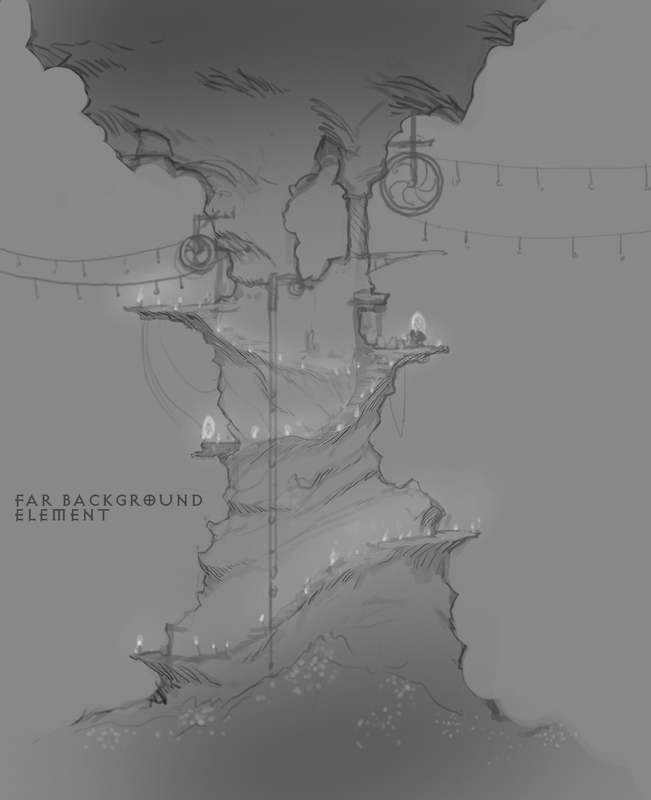 Once we had decided that we were going to finally visit Greed's lair and let players try and take a fraction of her wealth back with them it was all a question of making it as memorable as possible. Everyone wanted to add their own little personal touches to the Vault. 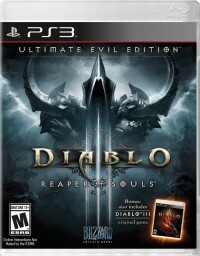 Piles of gold everywhere, goblins running around in the background, troopers appearing through portals, and (SPOILERS!) Greed's death. There really was no shortage of ideas. Q. What about the Baroness? Can you tell us a bit about the evolution of her fight? 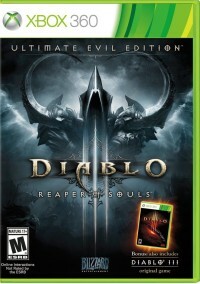 Matthew: The fight with Greed itself evolved fairly naturally as we played it internally. Her charge attack, for example, was initially much more straightforward: she would charge at you and if she missed she'd get stunned. To add a bit more variety we then added a second charge that had a much longer range so that she could charge all across the room sometimes and surprise the player—that then evolved into her triple charge. Initially, Greed oriented herself while preparing the charge which made it very hard to avoid, when we moved into the triple charge we had her stop doing this, allowing the player an easier time to avoid it. This coupled with the great new warning that the artists had given it was the winning formula. In a similar fashion, we made a variant of her attack where she makes chests of treasure rain down on the player, adding a lot more tempo to give the fight some fresh legs as you got towards the finale. Q. 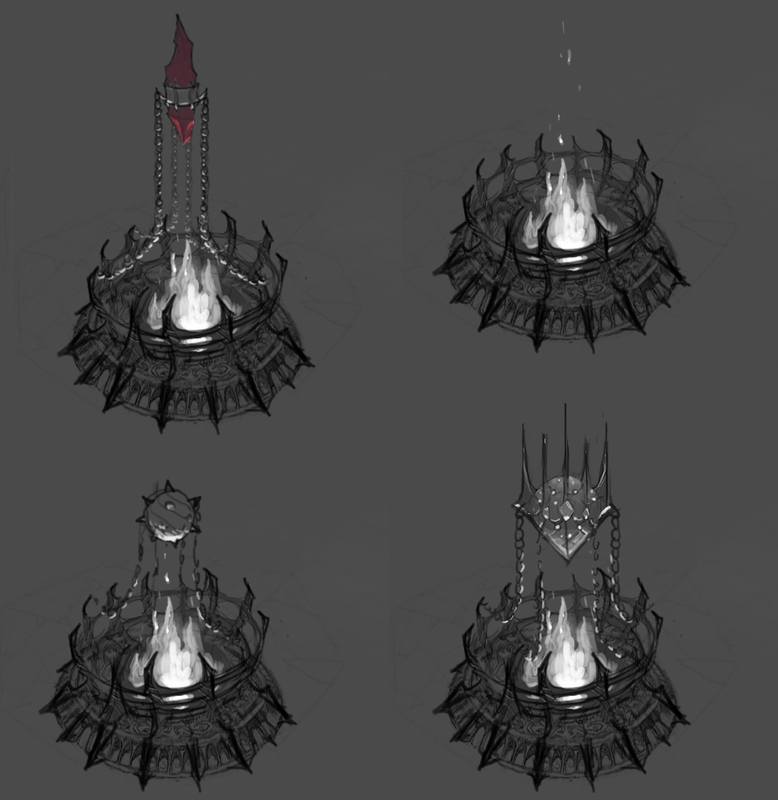 What was your favorite thing to design in the Vault? Neal: I loved making the breakables because of the gold effects I got to do, but my absolute favorite was making the giant treasure chest that appears at the end of the Baroness fight! It was cool to make a mega-uber chest. As a prop artist, I don't do as much figurative work, so it was nice to add all the little elements like the face teeth and little feet on it. It was also fun because I got to do a clean version for when it's closed, and a bloody version for when it's open! And That's a (Gold) Wrap. . .
And so it is, that in patch 2.1.0, Treasure Goblins will become just a little more reckless, offering players a chance to finally venture through into their world to reclaim the lost spoils of war and contend with Greed, the Goblin Baroness. Fortune and glory awaits those who are bold enough to step through, so good luck! We'll see you on the other side.